Private and Public IP Addresses: What’s the Difference ? Internet Protocol (IP) addresses is usually of two types: Public and Private. If you have ever wondered to know what is the difference between a public and a private IP address, then you are at the right place. In this post I will try to explain the difference between a public and a private IP address in layman’s terms so that it becomes simple and easy to understand. Biometric technology and ID identification has greatly reduced the possibilities of buddy punching and unauthorized access for businesses. Yet there are different types of biometric technology on the market as a business owner has to decide which will work right for their building. Door fingerprint locks rely on scanning the unique ridges and valleys on the tips of a worker's finger. These fingerprints are used to match the fingerprints on file in the system to identify the worker. Facial identification works by taking pictures of a worker's face at different angles during the enrollment program. These pictures are stored in the system's database. 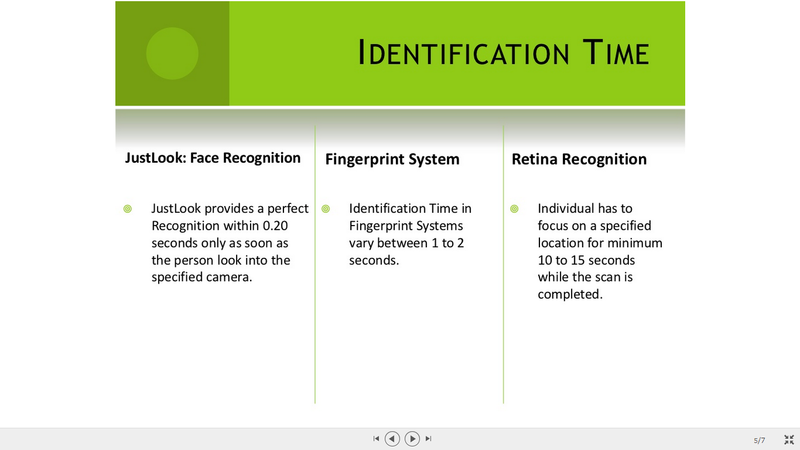 When a worker uses the facial recognition system, they show their ID card as the system scans their face through the camera and matches it to the pictures in the system. 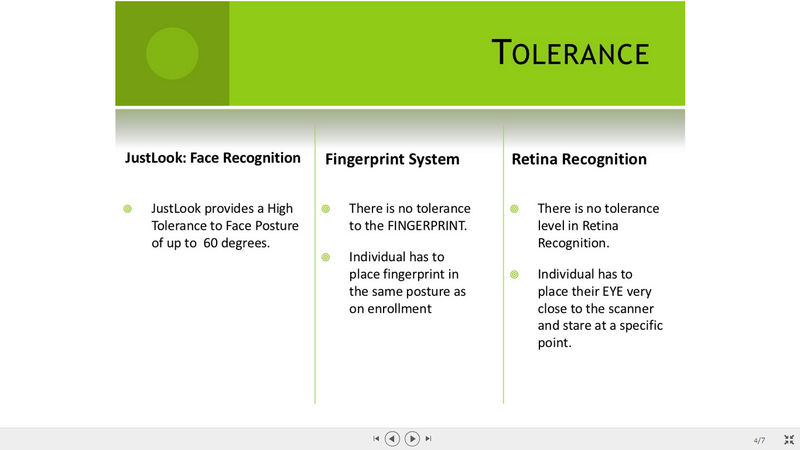 How To Choose A Biometric System? 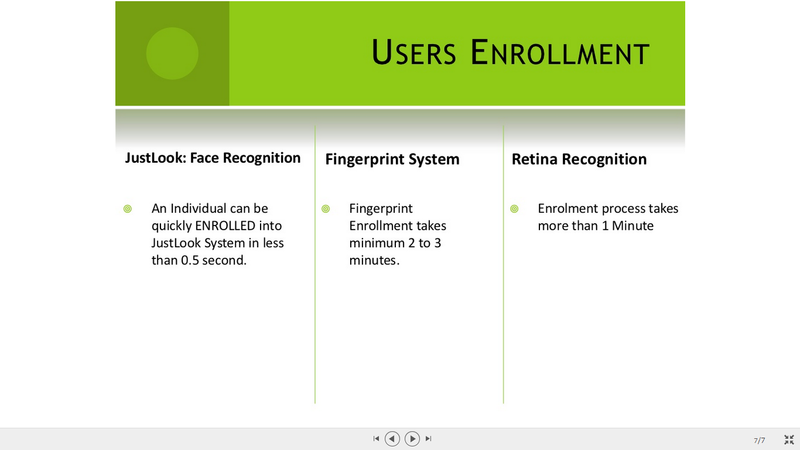 * How much can you invest in a biometric system? 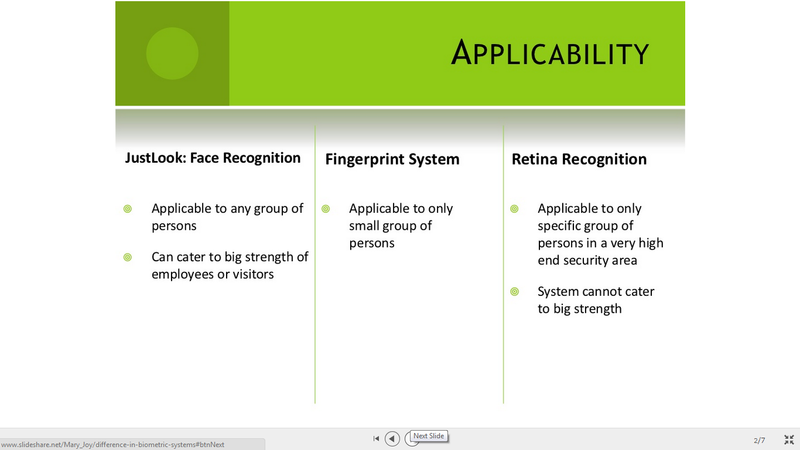 * How many biometric systems will you need? 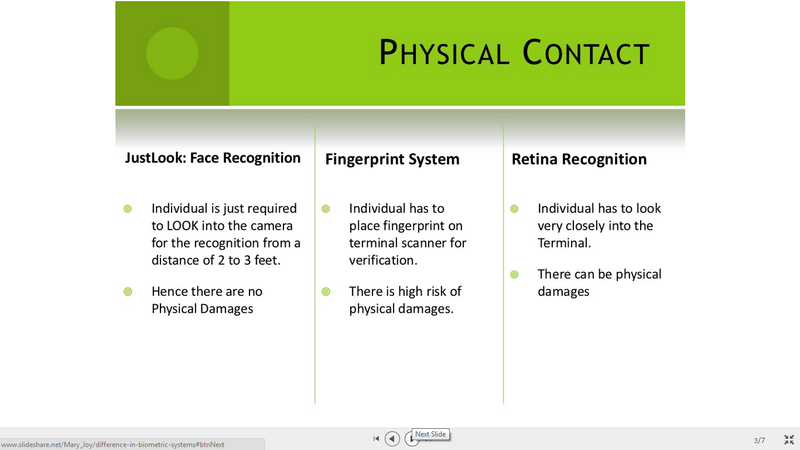 * Where will the biometric systems be placed (interior or exterior)? 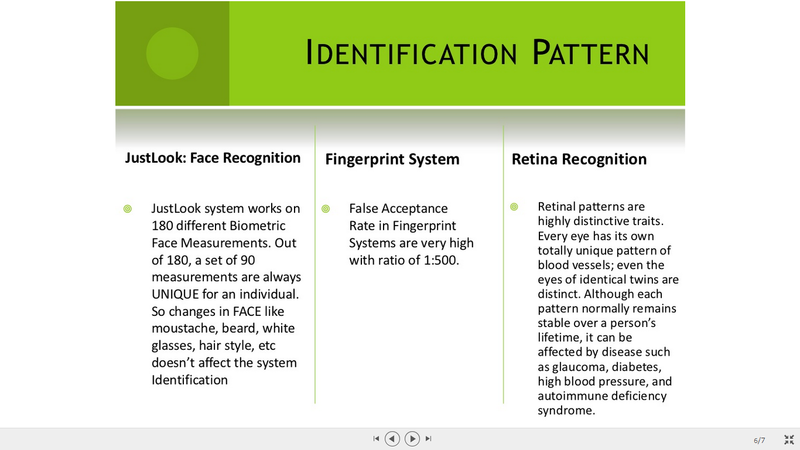 * What environmental issues may affect the biometric system operations (i.e. dirty work areas that will affect fingerprint scans or lighting that may affect facial recognition)? With much talk of budget cuts, many US-based organizations are still willing to pour dollars into their physical security initiatives, at least according to a recent study from by IMS Research. In fact, 45 percent of end users say that their security budget increased in 2012, the study found. "It's clear that end users are still feeling the risk to their facilities -- and that means there's plenty of opportunity for manufacturers of physical security equipment," said Niall Jenkins, manager for video surveillance and security services research at IMS, in a press statement. "Just having a budget available was actually one of the top two reasons for end users paying to replace or upgrade their systems as well." The survey, which polled 200 end users of physical security equipment across North America, found that the majority of these organizations are dedicating large amounts of resources to physical security. In fact, 44 percent reported that their organization's annual budget exceeded Rs. 5000K. "Budgets either stayed the same or increased last year for those that spent approximately Rs. 1Cr and also for 85 percent of the overall market," Jenkins noted. "I wouldn't say that the security boom is over just yet." Even with bigger budgets, users report concerns. Despite investing in new equipment, buyers say that their biggest worry is that vendors will suspend support for newly-acquired security products while they are still being productively used within the organization, the survey found. Especially as the market in the US transitions from analog to network-based video surveillance, vendors are shifting their product mixes and ending support for products, said Jenkins in an interview with IFSEC Global. "There's also a transition to the use of video analytics, PSIM, and wireless infrastructure," he added. "In the fire market, you don't see that pace of development, while intruder alarm and access control are probably somewhere in the middle." In addition, some vertical markets feel better served by security vendors. "The majority of end user markets, when asked about whether security meet their needs, were positive, but the transportation industry overall jumped out as one vertical that said the security industry wasn't meet their needs," Jenkins told us. So, let us know. Is your budget on the rise? Where do you plan to invest? Indian Company also increase there Security Budgets in 2013. We hope that you have found this resource page to be helpful.